number was 435 (screen shot to the right). Thanks to everyone who participated. Tomorrow’s giveaway a wine t-shirt from Zazzle — and yes, there are men’s sizes, too. This is the second of five daily giveaways; check out this post to see the prizes for the rest of the week. 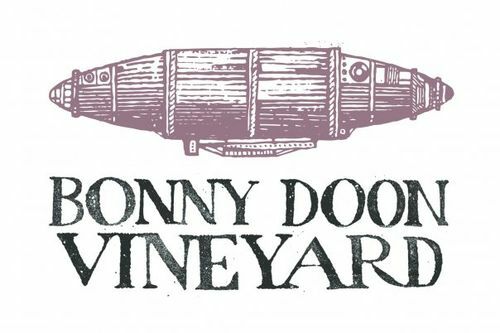 Today, to celebrate the blog’s 11th anniversary, we’re giving away a $50 gift card from Bonny Doon, one of my favorite California producers. This is the first of five daily giveaways; check out this post to see the prizes for the rest of the week. Complete contest rules are here. Pick a number between 1 and 1,000 and leave it in the comment section of this post. You can’t pick a number someone else has picked, and you need to leave your guess in the comments section of this post — no email entries or entries on other posts. Unless the number is in the comments section of this post, the entry won’t count. If you get the blog via email or RSS, you need to go to this exact post on the website to enter (click the link to get there). 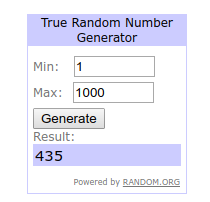 At about 5 p.m. central today, I’ll go to random.org and generate the winning number. The person whose entry is closest to that number gets the gift card. Please enter my number 555. Please enter my number 168. Thanks.